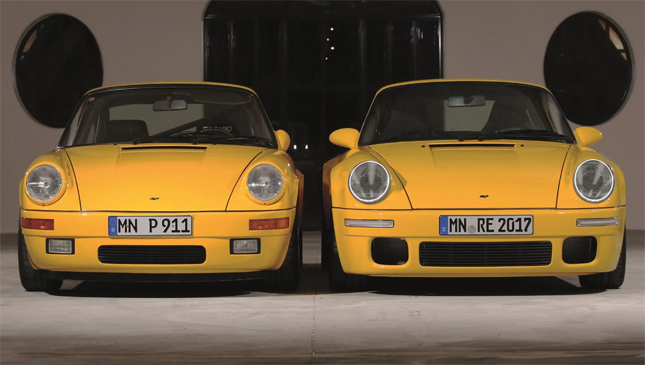 Last year, Porsche tuner Ruf showed us the modern reincarnation of its famous 1987 CTR Yellowbird. Now, for this year's posh Californian car garden party—The Quail—both new and old Yellowbirds are getting together for the first time on American soil. If you're unaware of the cultural significance of the original Yellowbird, stop what you're doing and watch Faszination On The Nürburgring now. Done that? Good. Now, some context. Back in 1987 Ruf launched a car called the CTR. It was based on the Porsche 911, but had been thoroughly modified, developing 469hp making it good for 340kph at the Ehra-Lessien test track in Germany. Which not only made it the world’s fastest production car, but the first one to break the 200mph barrier. But that was over 30 years ago, so to celebrate the milestone, Ruf brought it back for the 2016 Geneva International Motor Show. Only this time it's not based on a Porsche 911. Underneath sits a bespoke carbon tub with unique steel sub frames front and rear that carry pushrod suspension. 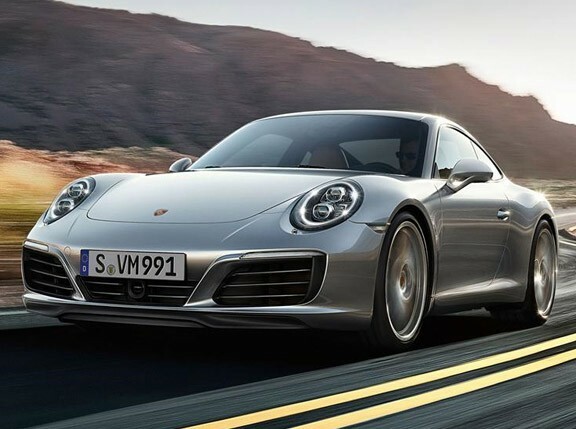 There's still a twin-turbo flat-six in the back and, yes, the 3.6-liter is based on Porsche's technology, only now it doesn't develop 469hp, but 700hp. 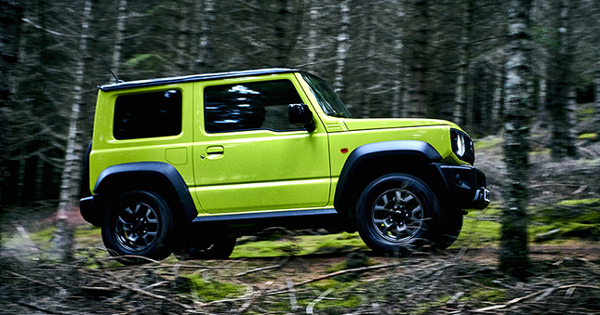 It drives the rear wheels (and rear wheels alone) through a six-speed manual gearbox. Old school. Peak power arrives at 6,750rpm, and there’s 880Nm of torque from 2,750-4,500rpm. It's small, too: just 4.2 meters long and 1.8 meters wide. Inside it features the classic Porsche five-dial layout and feels small, airy and exciting. The rear pushrods are on display and the carbon tub is exposed, too. For this year's Quail, both new and old Yellowbird will be getting together for a special class at The Quail called "The Alois Ruf Reunion." It'll be a Ruf jamboree as the new RUF CTR will sit alongside its daddy, a completely restored RUF 1989 Yellowbird CTR #001 as well as other Rufs, including a CTR Clubsport, CTR2 and RCT. So, if you fancy seeing some fast pork, head down to The Quail Lodge in Carmel-by-the-Sea, California later this summer.